Richard Wagner (1813-1883) aimed to be more than just a composer. He set out to redefine opera as a "total work of art" combining the highest aspirations of drama, poetry, the symphony, the visual arts, even religion and philosophy. Equally celebrated and vilified in his own time, Wagner continues to provoke debate today regarding his political legacy as well as his music and aesthetic theories. Wagner and His World examines his works in their intellectual and cultural contexts. Seven original essays investigate such topics as music drama in light of rituals of naming in the composers works and the politics of genre; the role of leitmotif in Wagners reception; the urge for extinction in Tristan und Isolde as psychology and symbol; Wagner as his own stage director; his conflicted relationship with pianist-composer Franz Liszt; the anti-French satire Eine Kapitulation in the context of the Franco-Prussian War; and responses of Jewish writers and musicians to Wagners anti-Semitism. In addition to the editor, the contributors are Karol Berger, Leon Botstein, Lydia Goehr, Kenneth Hamilton, Katherine Syer, and Christian Thorau. 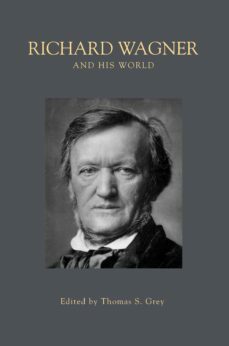 This book also includes translations of essays, reviews, and memoirs by champions and detractors of Wagner; glimpses into his domestic sphere in Tribschen and Bayreuth; and all of Wagners program notes to his own works. Introductions and annotations are provided by the editor and David Breckbill, Mary A. Cicora, James Deaville, Annegret Fauser, Steven Huebner, David Trippett, and Nicholas Vazsonyi.